Live Law: Being the Convenor of the Journal Committee of a National Law University must entail tremendous expectations. What is it like to manage it? Abhishek : It’s both challenging and exciting at the same time. You get to interact with prominent academicians all across the world, read unadulterated and superb research and work with some of the brightest minds in the university, althoughit becomes quite hectic to go through 50 articles in a week sometimes. Overall however, it’s a great and rewarding job. Live Law: Please elaborate upon the mandate and the structure of your Journal Committee? Abhishek : It is the prerogative of the Journal Committee of RMLNLU to manage the Peer Reviewed Journals of the University. We annually publish two journals, the RMLNLU Law Review and our recently launched Topic Specific Journal, the CMET (Communications, Media, and Entertainment& Technology) as of this year. The Committee itself is comprised of 24 designated members and 5 Office Bearers. The committee works under the auspices and guidance of Dr. Amar Pal Singh, our Faculty Advisor whose constant encouragement and support have been an infinite source of motivation and inspiration to us all. Live Law: What is the nature of work that you have to deal with, in the Journal Committee? Abhishek : The Committee handles a variety of work spanning from organisational work to editing and publishing a finished Journal. To enumerate, we execute over the course of one academic year: an intra-college literary fest, an international legal essay competition, various legal writing and editing workshops, literary competitions, working papers and the publication of two Legal Periodicals. Our committee is unique in the sense that the nature of our work requires us to work all year round non-stop. Live Law: How do you go about training rookies in the art of Research Paper Writing? Abhishek : The most efficient way to train anyone is to have them understand not just the methods they must use to accomplish the task of writing but understand the necessity of each step in often rigid system of writing. For this reason we conduct legal research workshops where we invite published authors of articles (student/faculty alike) to give the attendees a hands on knowledge of legal writing. We also conduct workshops on the different citation styles. Live Law: Tell us a bit about your Journals? Abhishek : We publish two Peer-Reviewed Journals every year, namely the RMLNLU Law Review and the Topic Specific Journal-the CMET Journal. With the need for specialised research in niche legal fields we felt that a topic specific journal on Media Law would be a unique resource to those who require it. In that regard, the CMET is a fantastic addition to our publications.To be honest, it was our ex-convenor SubitChakrabarti who worked tirelessly for it. The CMET is published in collaboration with the Eastern Book Company. Watch out for our Call for Papers. Live Law: So what endeavours is the Journal Committee currently engaged in? Abhishek : As a Committee we strive to not only maintain the standards of our work but endeavour each year to grow with new initiatives to the fullest of our potential. Currently, we are engaged in putting together an Executive Advisory Board and Panel to help guide the committee in becoming an integral platform for legal research and education both with and for the University. Among the long wish-list of projects that we take on each year, one important one is the Editors’ Conclave which we hope will establish a network of Law Reviews across the country allowing us to co-ordinate with and facilitate each other in the ultimate goal of research. Live Law: Dr. RMLNLU is a comparatively new National Law University, and in a short span of time your Journal has panned out really well, so how has this been possible? Abhishek : New Universitymeans new challenges and new opportunities. It also means that we have less to risk but more to gain. The university administration has always been supportive and understanding. And to be honest, our past members have done a terrific job in bringing the committee to its current standing. As far as a student body goes we receive all the flexibility and internal administrative freedom to exercise our mandate and execute new ideas. Our Vice Chancellor, Prof. (Dr.) Gurdip Singh’s guidance and leadership have been instrumental in motivating us to work towards bringing our institution to the forefront of the legal community just as he strives to do the same. His support and encouragement have created an environment that has allowed us to conduct our work efficiently. Live Law: What changes in the system were introduced/ are likely to be introduced during your term as the convenor of the Journal Committee? Abhishek : My responsibility as a Convenor is to ensure not only the smooth, efficient functioning of the committee but also to create an atmosphere that allows each person to work to the best of their potential. After becoming Convenor, my first act was to make the Committee accountable, responsive and transparent to students, publication houses and contributors alike. We are in the process of revamping our Constitution to streamline work and execution of the same. The mailing system has been reorganised to effect a prompt response system. It is imperative for any Committee to not only recognise and appreciate the efforts of its members but to make sure that work is delivered in a timely manner. A feasibility study for working papers and a socio-legal journal has been completed. Live Law: What is your vision for the future as the Convenor of the Journal Committee? 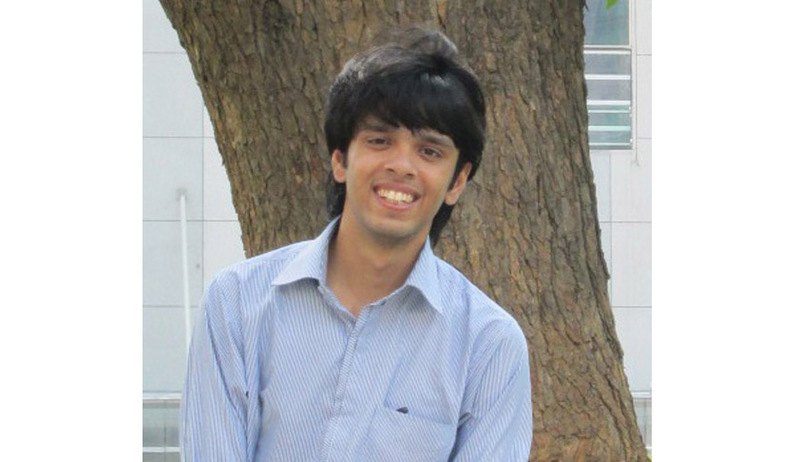 Abhishek : The future is filled with wondrous possibilities for those who strive towards them. Our Committee too, as an organisation hopes to not only continue on its current mandates, but to facilitate a culture of meaningful research, an ideal that the legal community aspires too in general. To accomplish that however, we need to continue as a body to develop and grow; change with the contemporary improvements and most of all stay consistent in our hard work. Whatever the future holds, I am glad to be surrounded by such talented and dedicated members who help realise our collective optimism, and I believe that under the right architecture of governance and guidance, success is just around the corner.